If there's one thing that will definitely be a part of a Superbowl Sunday snack spread, it's some kind of dip. 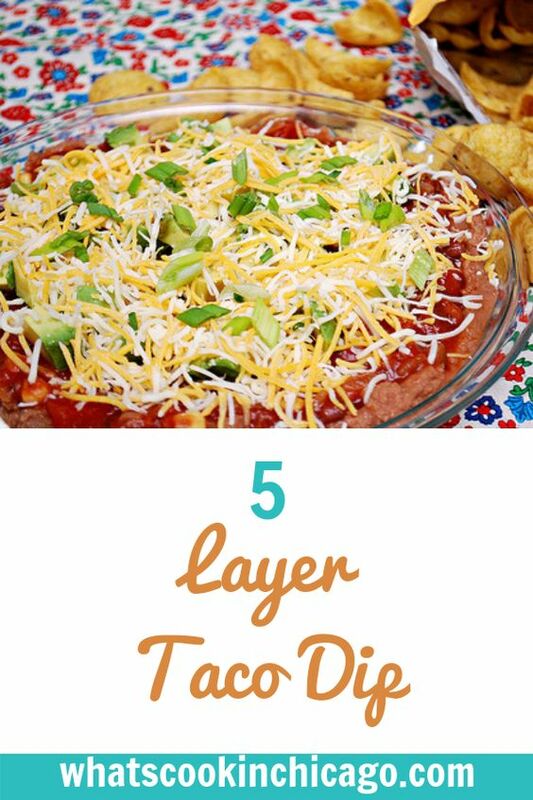 There are so many kinds of dips but probably my favorite would be some type of layered dip. Getting a taste of different flavors and textures onto a chip is just a must if you're a snacker! For Superbowl Sunday, how about trying this 5 Layer Taco Dip? A deliciously layered dip of seasoned cream cheese, refried beans. 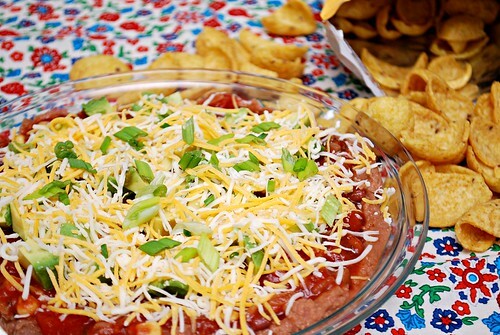 salsa and cheese make this no bake dip flavorful and easy to assemble! I like this dip because it's vegetarian friendly (if you opt for vegetarian refried beans) and another bonus is that it's a dip you can assemble in advance. I've enjoyed this dip so much that I'll even make mini cups of it to snack on throughout the week. For those that do prefer some more protein, you can easily make this into a 7 layer dip by incorporating a layer of seasoned ground beef or chicken too! In medium bowl or platter, combine cream cheese, sour cream and taco seasoning. Spread evenly in the bottom of a pie plate. Top with refried beans, followed by salsa and then cheese. Cut up avocado and toss with lime juice and sprinkle over top. Garnish with green onions. Serve with tortilla chips or corn chips.